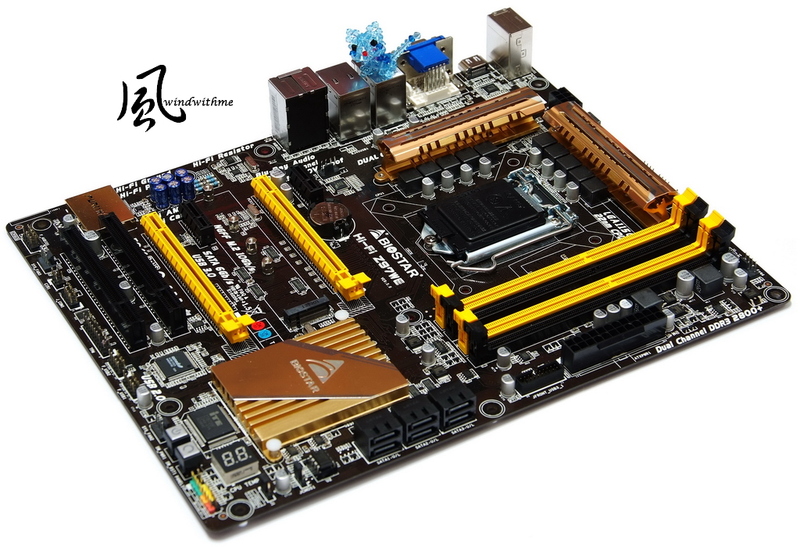 using the same pin LGA 1150 chipset name to raise to nine series, and the highest level Z97 is as the current each MB brand's main product. which may be doing to prepare for the second half of Haswell-E.
with the feeling of a little strange when matching, but also to indirectly make LGA 2011 market more narrow. 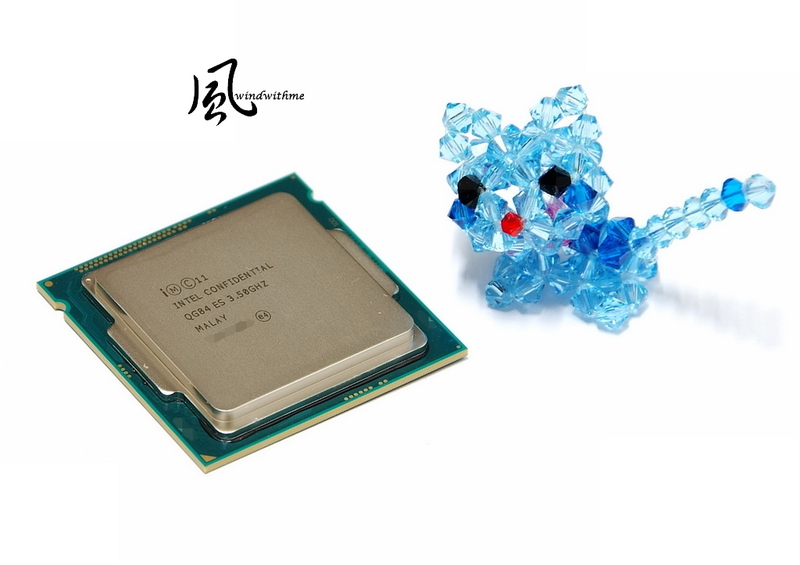 The MB new R & D is very slowly, and it is expected that the future platform for Intel dual consumption can catch the latest architecture, allowing the Intel Extreme platform more competitive. 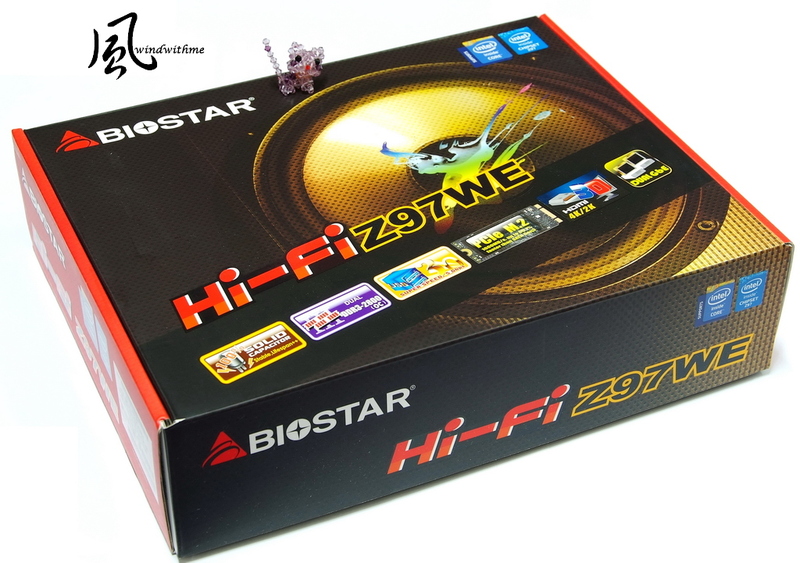 Back to one of these dual protagonists in this test is BIOSTAR Hi-Fi Z97WE which carton packaging is changed to black, red and yellow color-based, and flagship Hi-Fi design is quite conspicuous. Personal recommendations are further to reduce the number of board carton volume, and you can increase exquisite sense and can also reduce some freight. 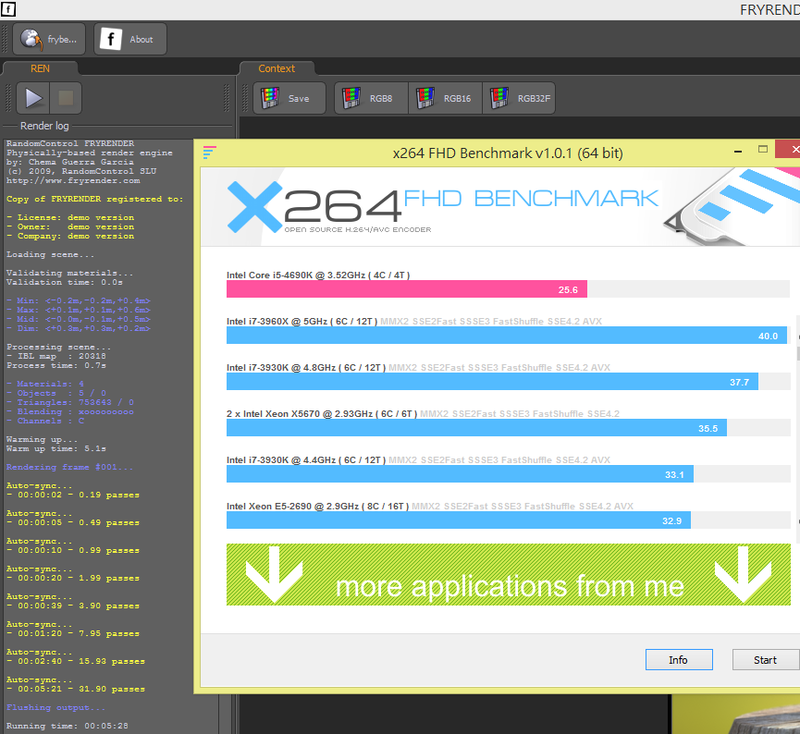 with K behind the code for the highest level version of Core i5, it has the adjustment function of the multiplier. 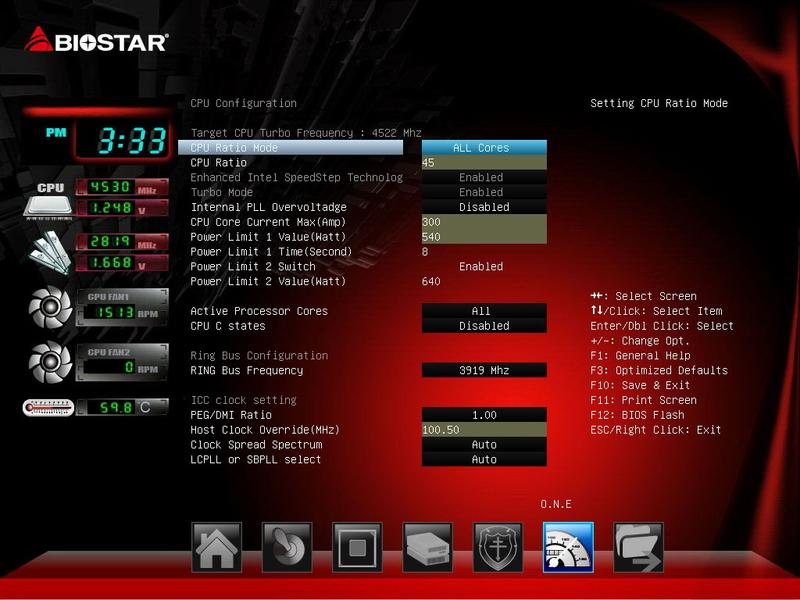 4690K total clock is 3.5GHz, to support Turbo Boost Technology, up to 3.90GHz performance. 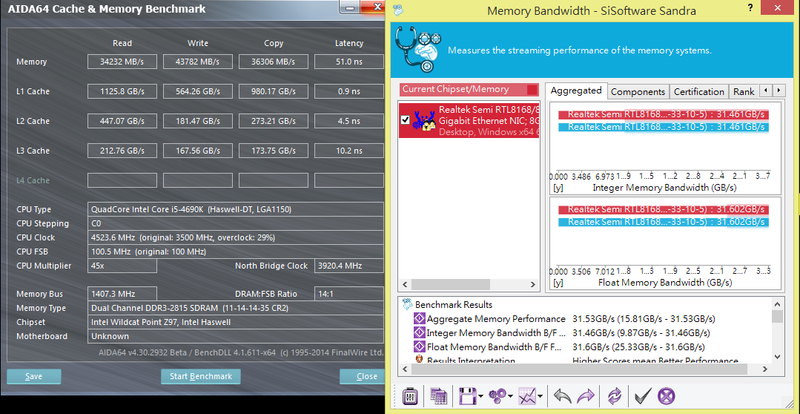 with the power higher than 88W, and 6MB of total L3 Cache. 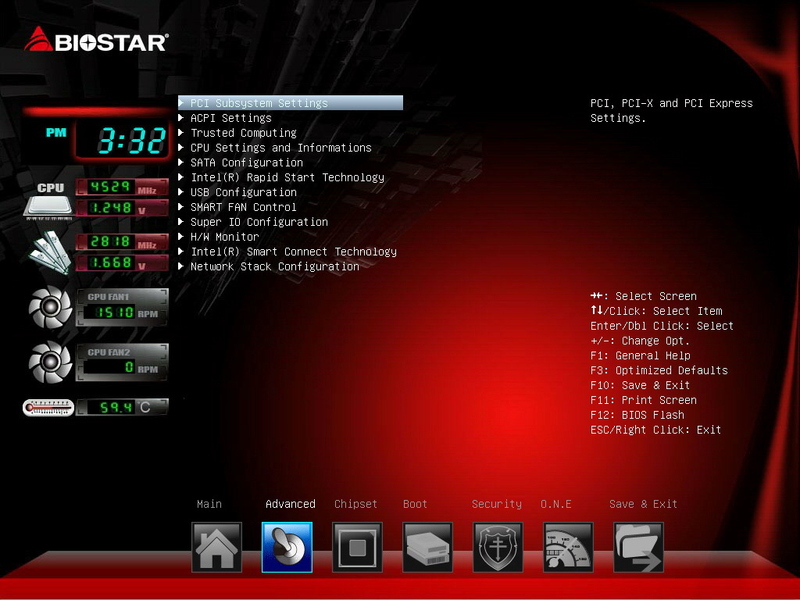 The following will do detailed testing, so users can better understand the performance of Devil's Canyon. 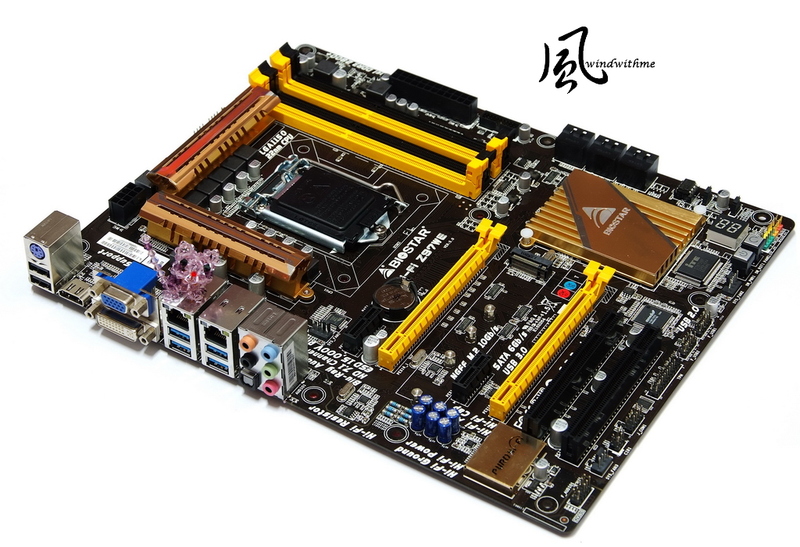 For M.2 new specifications with a lot of exposure in the next generation Z97 of the board area, its advantage is the maximum bandwidth can reach up to 1000 MB / s.
PCI-Express M.2 is also much higher than SATA3's current maximum bandwidth of 600 MB / s.
and if there is only one device, Raid can not be done. 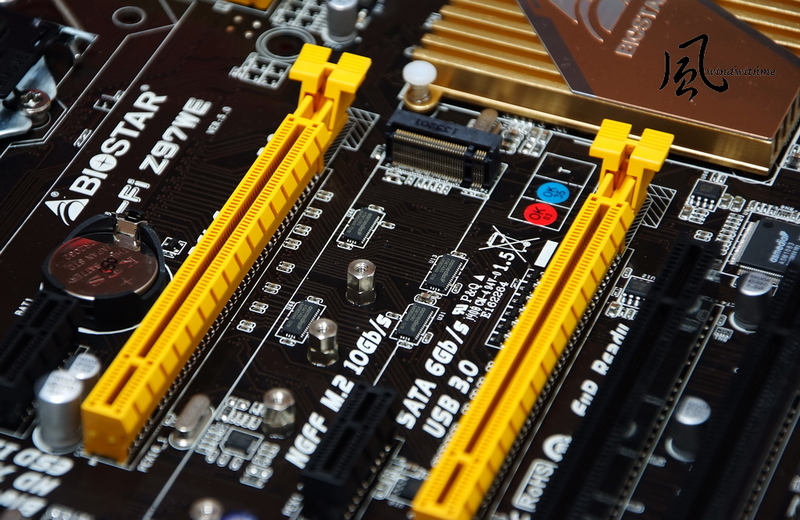 As for in the future what position for M.2 SSD to play in the market, let the consumer to make a decision! 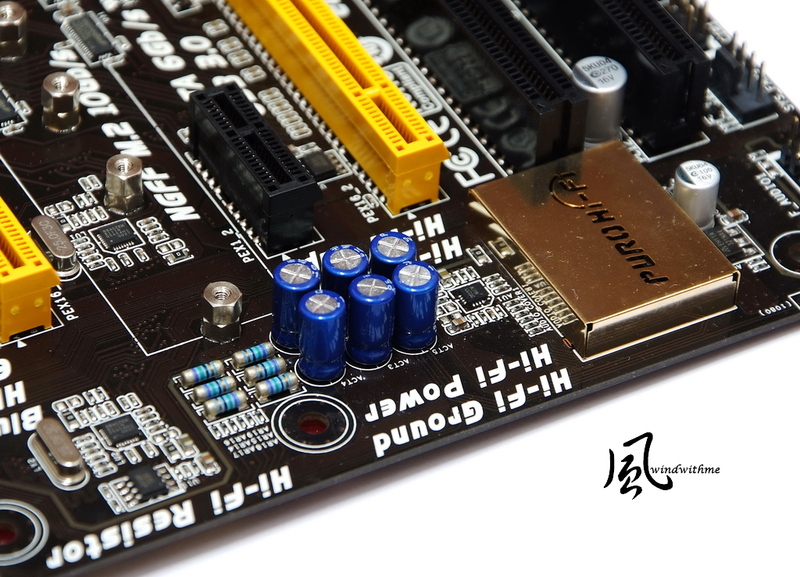 Two kinds of language available in English and Simplified Chinese can be switched, and in the figure are many hardware Advanced Options pages. 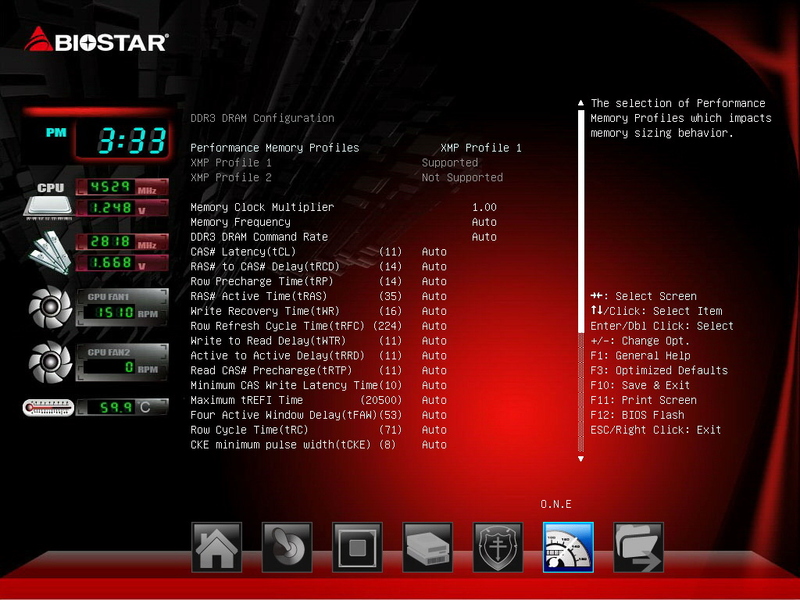 Then close the CPU C stats energy-saving technology, and the below is the built-in GPU's clock and Options. 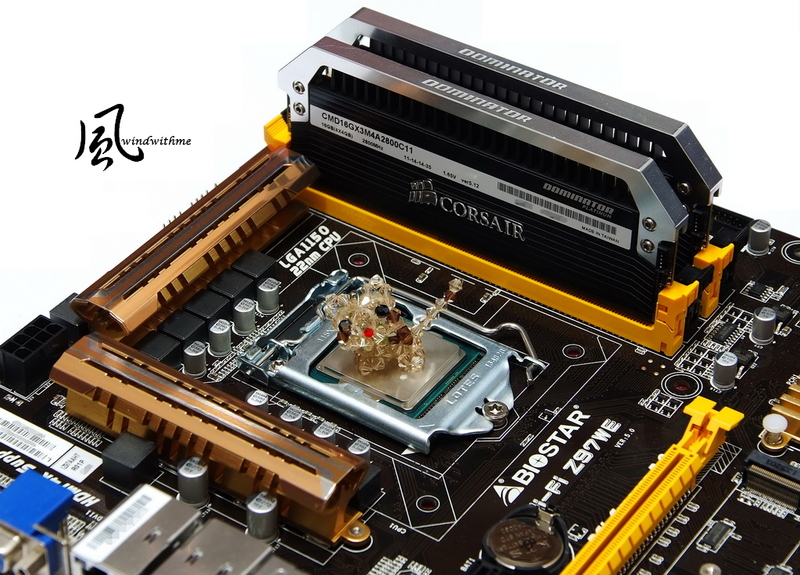 DDR3 uses CORSAIR Dominator Platinum 2800C11. 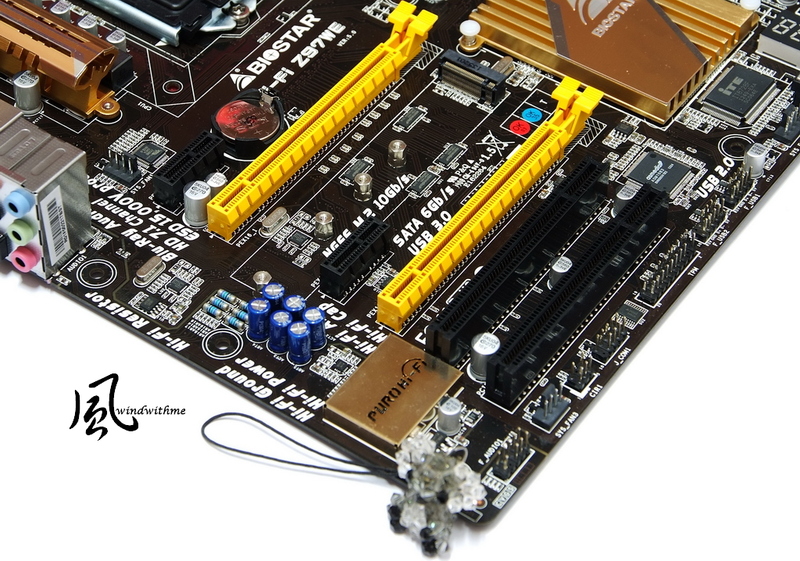 After opening XMP technology, you can easily achieve a stable high-performance DDR3 2800. The lower half of the page is for more advanced DRAM Options. The CPU Apaptive Voltage Target designated as 1.23V. 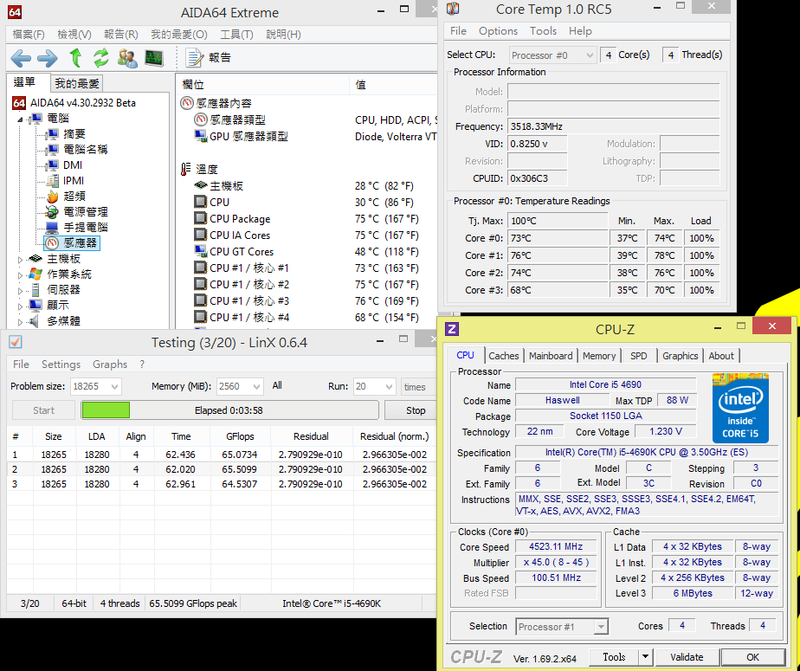 After providing stable voltage 4.5GHz, CPU voltage becomes 1.248V on the left to display. 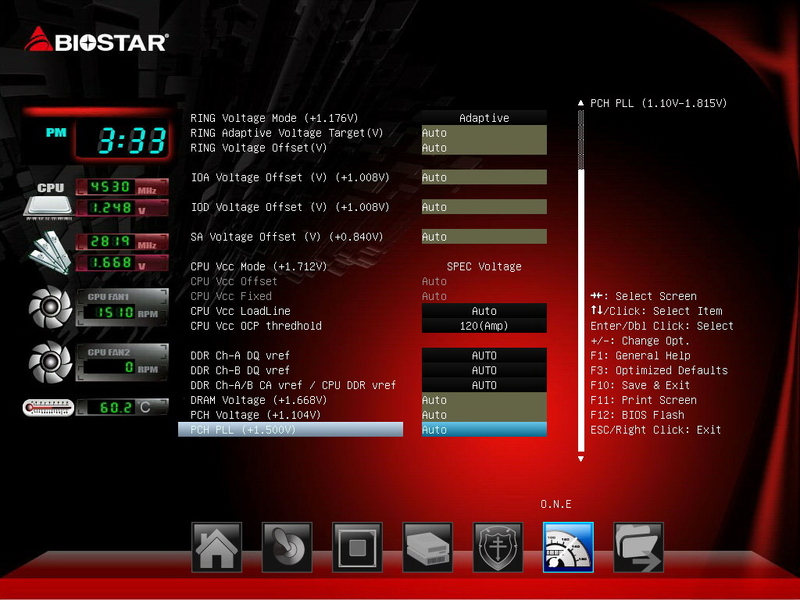 DDR3 is automatically set in 2800 CL11, DRAM voltage of 1.65V, and the left detected as 1.668V. 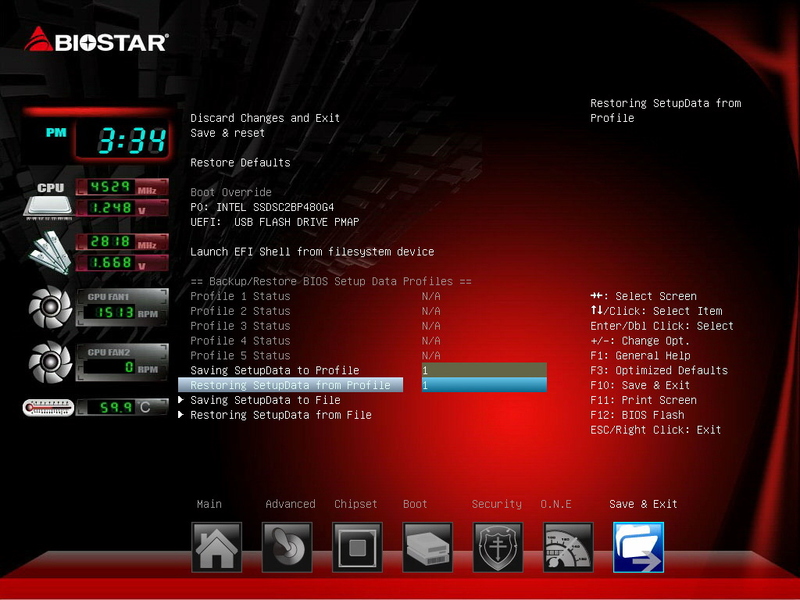 The top is the BIOS setup options, the central is for selecting the hardware boot option, and the below is for the user to set the archive feature. BIOSTAUEFI BIOS offers a wealth of options which are quite sufficient for the general setting or energy adjustment efficiency. There are no built-in features with too many fancy, and no high-resolution pictures or large files of BIOS Figures. 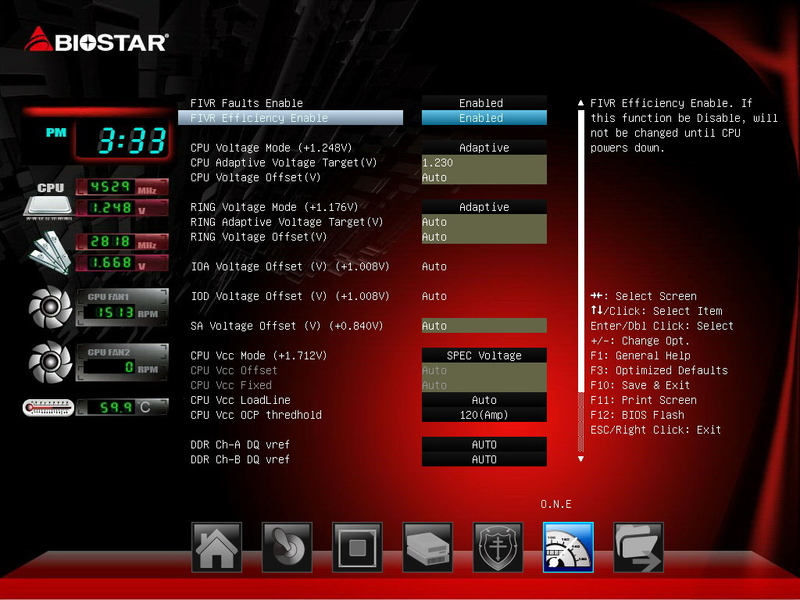 For BIOSTAR UEFI BIOS, the response at boot set speed is very quickly, which can be considered as one of the advantages. 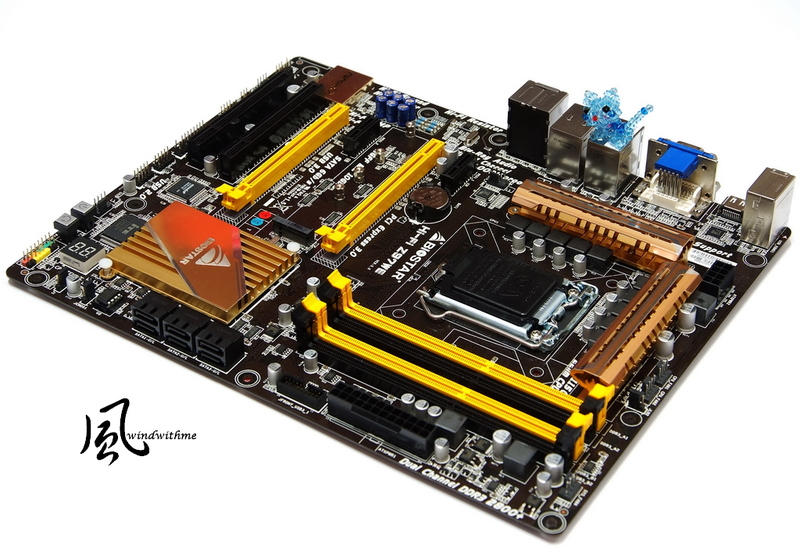 These are to set up the 4690K with adjustment multiple frequency and voltage ultra frequency, making CPU and DDR3 set for 4500 / 2800MHz. 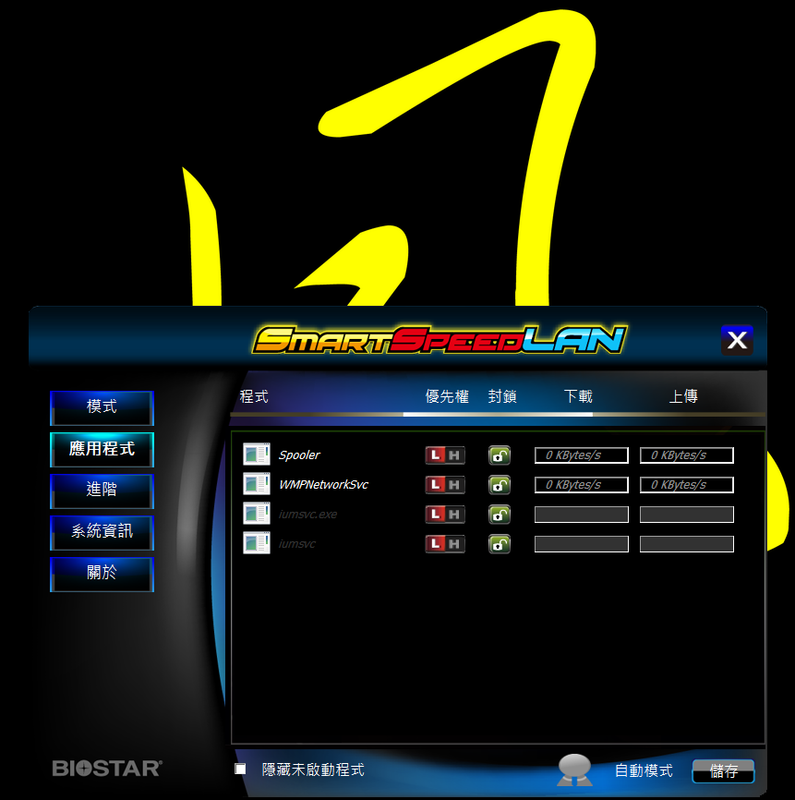 For software, there are SmartSpeedLAN, appearing to be with the use of dual network chip. 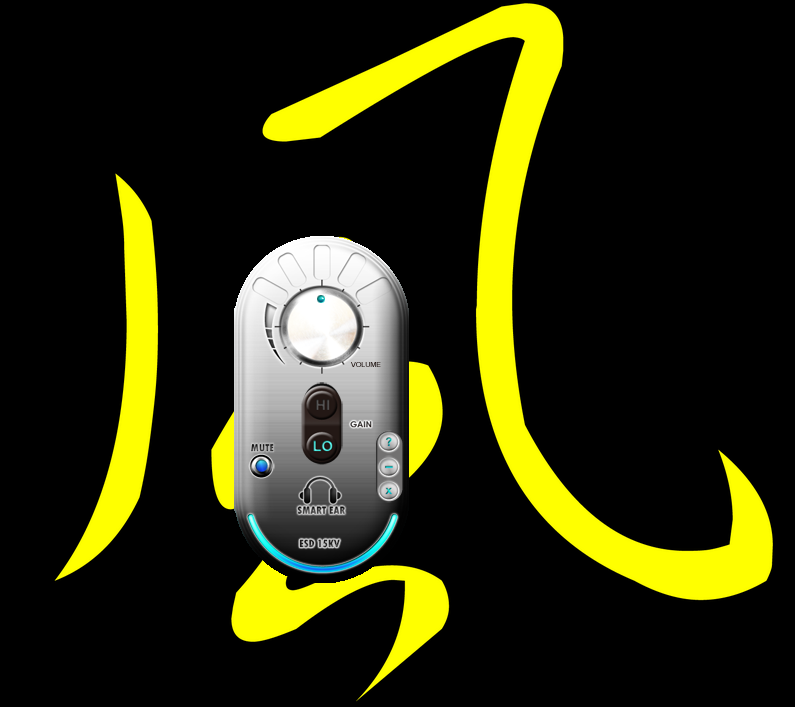 Four automatic modes such as games, streaming, and browser are available. Click into the applicationon on the left to monitor the program status opened in use currently. On the advanced page you can enter the desired network speed, which is limited by the maximum download or upload function. On the below there are also two functions to accelerate the reaction time and without delay of TCP, providind the use of closing or opening. Sound chip and associated capacitance are with gold lines around them, making the separatio of digital / analog, which can reduce EMI Nosie. Metal oxide resistors of metal-oxide film resistors, and then equipped with front headphone to expand audio chip, using a lot of sound-level design. 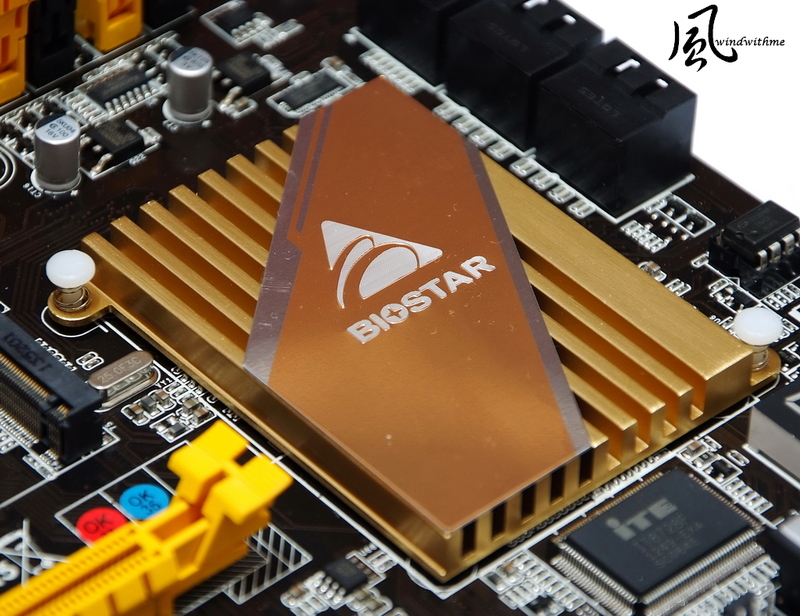 Just above Sound Chip, a metal shield printed with BIOSTAR Logo will glow red when in the power. The devices for the actual listening equipped with entry for USHER S-520 stereo amplifier with Mic. LF - drums still acceptable, bass do not go too heavy feeling If the details more clear, it is better. IF - In songs or videos, vocal performance is clear, and a solid sense of sound is also quite good presentation. HF - some music and sound details have a good ductility, and not too sharp condition occurs. With Z97WE main materials used in Hi-Fi, sound quality is even better than the normal built-in Realtek sound chip of MB. 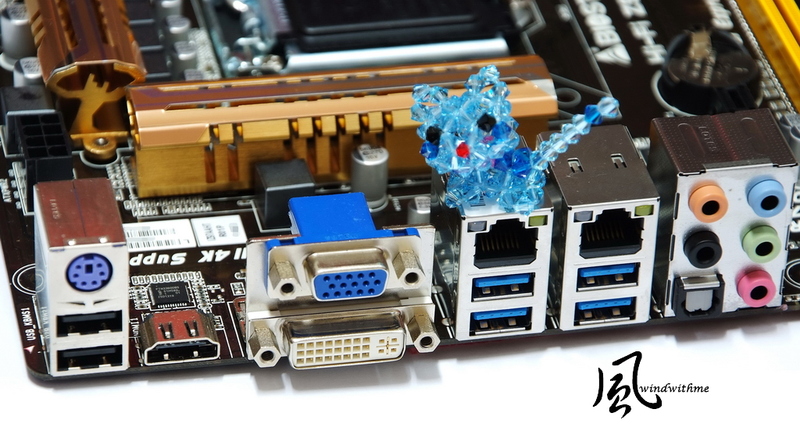 Perhaps many people feel Realtek audio performance is moderate, but the sound quality performance in the acquired materials and design also take up a very important part. Otherwise, the sound field or low-frequency performance will further improve, and games or movies will have a significant environmental benefit. 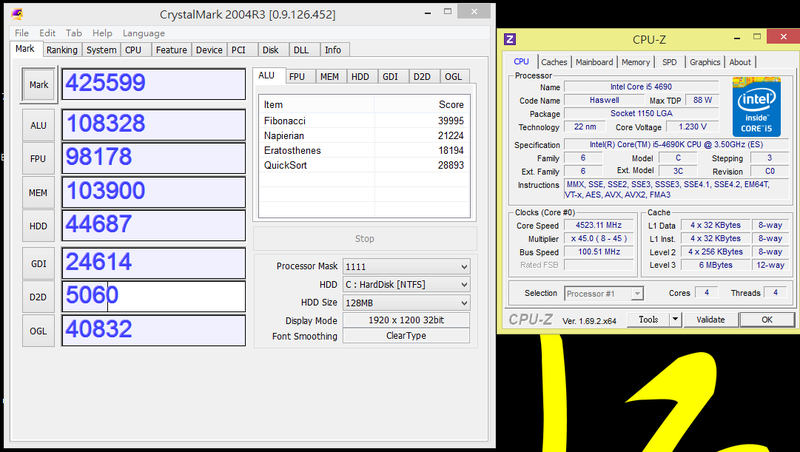 These are 4690K stable performance capabilities of Intel code-named Devil's Canyon in the air-cooled ultra frequency. Using mid-level tower-type cooler, and ultra frequency to 4.5GHz can pass by the above various heavyweight test software. If for the only limit to pursue the case, that is, into the desktop stroll, ultra frequency to 4.7Ghz or more is not a problem. Intel Core i5-4690K ultra frequency ability should be even better than the majority of 4670K, but still have to follow the constitution and the radiator. 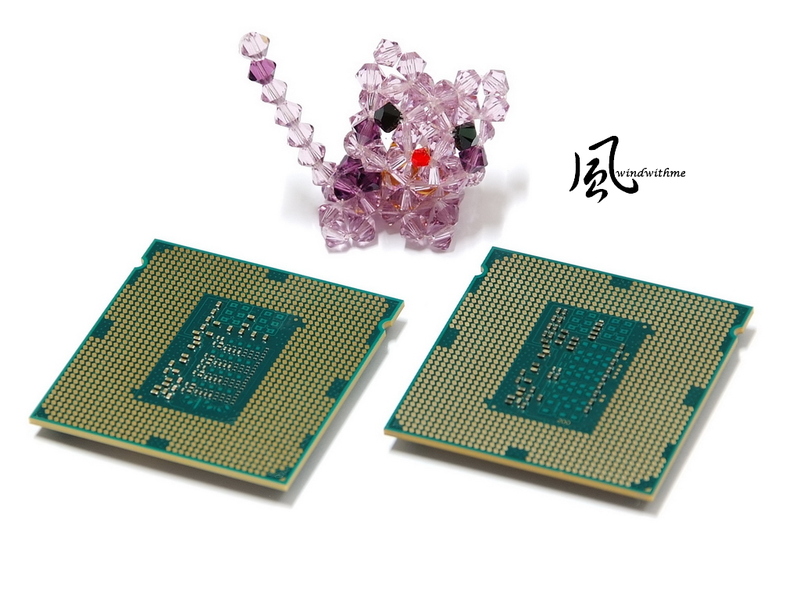 DDR3 bandwidth performance and ultra frequency ability is still the architectural advantages of this generation Intel Haswell. The last generation Ivy Bridge architecture enables stable operation of only about 2666 to about 2400. With the Haswell Refresh platform, you can also have high bandwidth like the last generation. 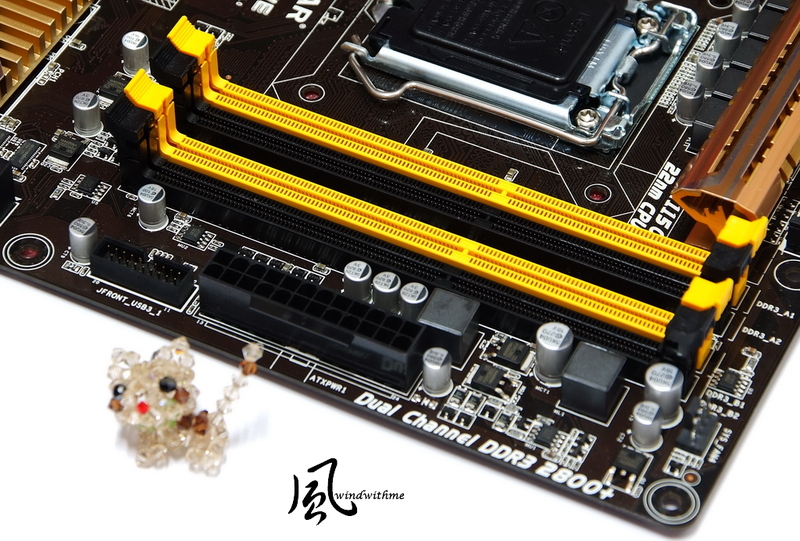 DDR3 ultra frequency ability with physique if strong enough, you have a great opportunity to overclock to 2800 to 3000. 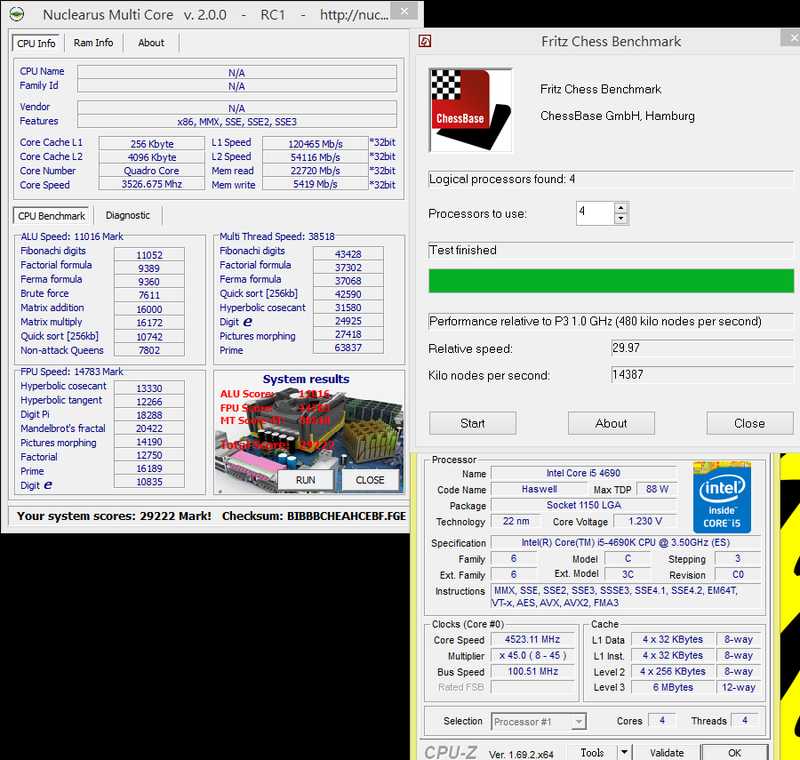 Meanwhile pulse bandwidth DDR3 LGA 1155 platform is also much higher than about 13 to 27%. 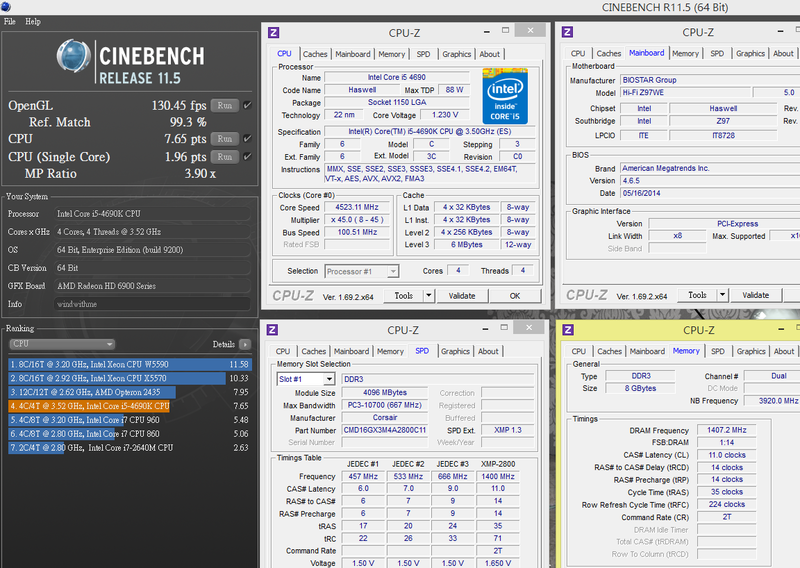 These two 4670K and 4690K above full test pattern appears telling the truth. 4690K 4670K minimum temperature lower than 7 degrees, the maximum temperature is low. 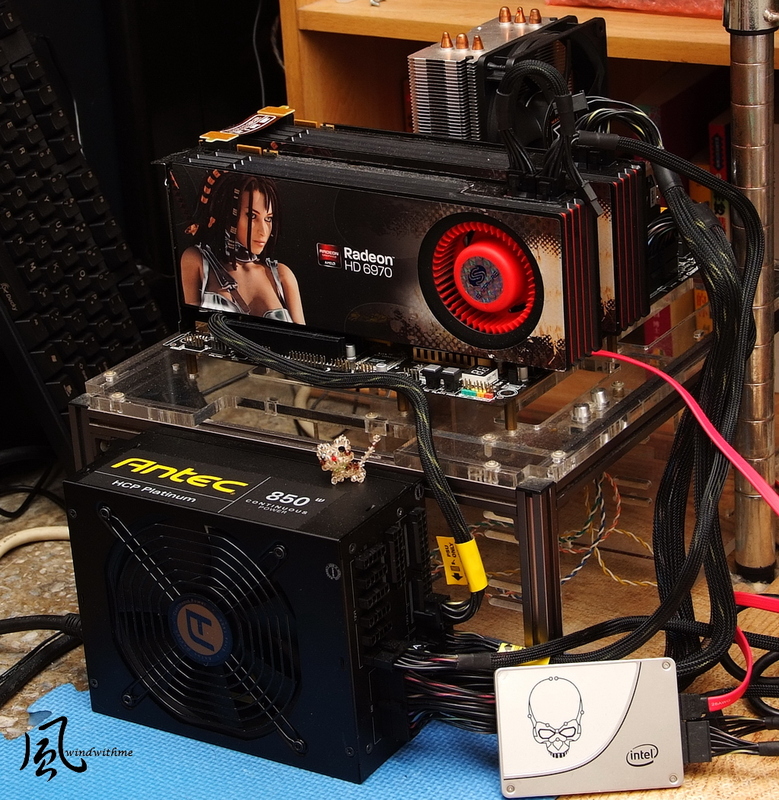 For those who prefer a lower temperature or extreme overclocking users, it will be profitable. 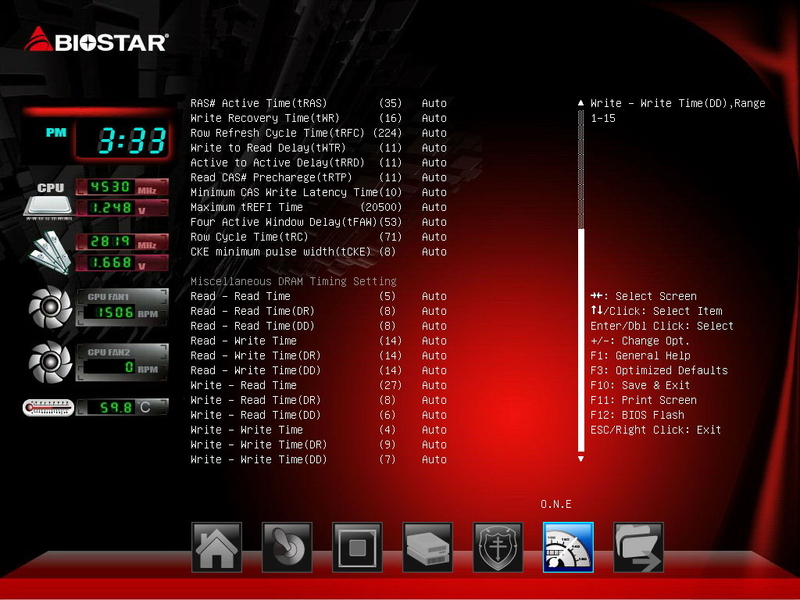 3 With good visual sense of the new UEFI interface, boot and set are very quick. We experienced one of Intel's two Devil's Canyon CPU which is Core i5-4690K. 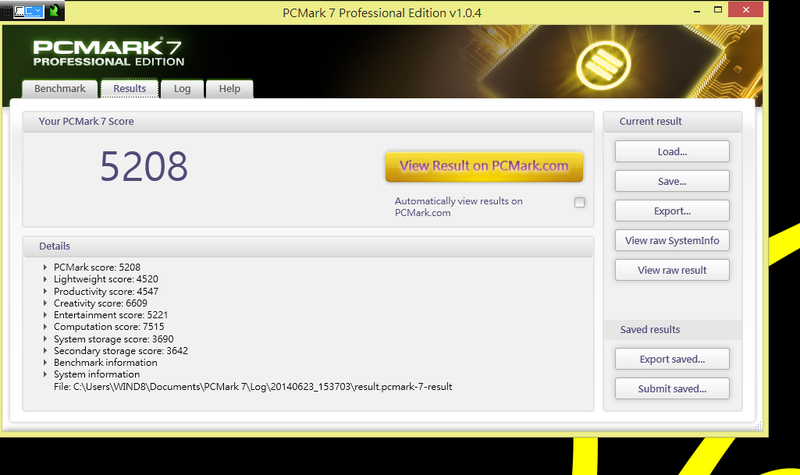 This time for Canyon, Intel also introduced the new product Logo, it looks nice and with very distinctive features. I think consumers should be very interested. 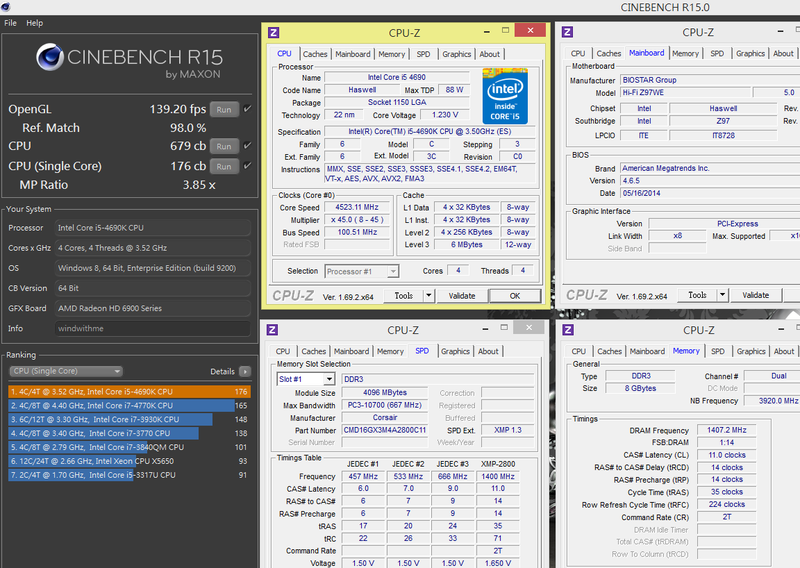 with Intel 20 anniversary's Pentium G3258 CPU with no locked frequency. I hope Inte Pentium G3258 will have better performance in windwithme's ulta frequency tests in the future ! 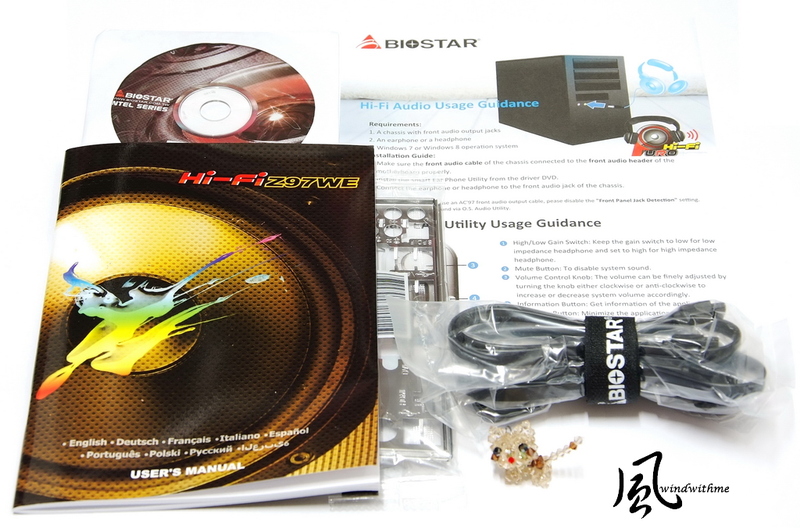 BIOSTAR Hi-Fi Z97WE's price in the United States is about 125 dollars, converted into NT about 3700 yuan. But if changing it into the abbreviation WWE World League, I think consumers will be even more impressive. But it is better that another version of the Z97 version can be launched using gold-plated audio jack, to support Samrt Ear 3D software. And it can support dual SLI technology, or equipped with ALC 1150 sound chip, to reduce 5-phase power and supply network with a single chip.. . The price can be reduce in less 150 US dollars, That will be good. And it also provides another affordable choices with high specifications. This review is also in my blog. WIND3C, any comments are welcome. Awesome review. When all of those famous brands are fancying about designs on their 9 series. 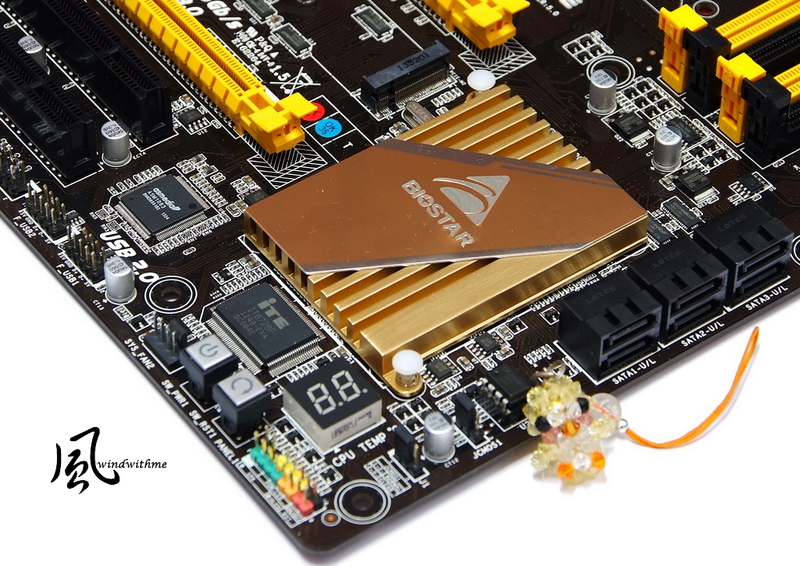 Here comes Biostar's offering will a full pack features at a very reasonable price.